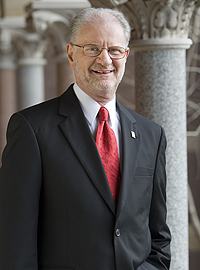 Gallaudet president T. Alan Hurwitz will speak at the the graduation ceremonies of the Florida School for the Deaf and the Blind today at 4pm as 84 seniors receive their diplomas. It's the 99th Commencement Ceremony for the St Augustine school. Deaf Department Valedictorian Sabina Ademovic and Deaf Department Salutatorian Sarah Kimbley will be recognized. You can watch a livestream of the event here. A group of students who attended the Alberta School for the Deaf--but a Canadian judge says they can't file a class-action lawsuit. Two women and one man say they were physically and sexually abused by staff and other students at the Edmonton school. Even though lawyers say some 100 people have expressed interest in joining the lawsuit, the judge decided too much time had passed to grant the request. The attacks allegedly took place in before 1996, when the school discouraged the use of sign language. A ceremony is planned tomorrow morning for 11 profoundly deaf students who are getting ready to be mainstreamed after going through a program in Chicago. Read about it here. A North Carolina boy recently became the first child to receive an auditory brain stem implant as part of an FDA trial. Here's a video report from Raleigh's WRAL-TV (captions available). Jacob Landis has made it to Minnesota. We told you back in April here about the fund-raising effort of the deaf Maryland man. Here's a video report from KSTP-TV about his stop in Minneapolis (captioning available). A Wisconsin woman's black Labrador and German shepherd pointer mix ended up at an animal shelter--and was given away before she had the chance to claim it back. Susan Heezen is now pleading for the family that adopted "Bear" to give her back. Read the story here. One person is behind bars following an armed robbery and kidnapping a block from Gallaudet University this morning. A couple says two other men were involved in the attack. It happened at the Subway at 5th and Morse Streets next to Galluadet. A man called police saying four people robbed them at gunpoint then kidnapped his girlfriend in a stolen Lexus sudan. She was let go a few minutes later, unharmed. Police spotted the car and captured the suspect when he crashed. Here's a video report from WRC-TV in Washington, DC. A team at NPR has launched an ambitious effort to make radio possible for an estimated 23 million Americans who are unable to listen to radio. The project is called Breaking the Sound Barrier. Read about it here. Police in Rochester, New York graduated 22 students from a course about what it's like to work on the force. A video report from WHAM-TV is posted below on DeafNewToday.com. For the first time in its history, the Illinois School for the Deaf has a deaf, female superintendent. Before Janice Smith-Warshaw took over on May first, the Illinois School for the Deaf had three deaf, male superintendents in its history. WICS-TV has a video report here. "Last week, hearing impaired citizens packed a (state) Senate committee room, following along through interpreters, to support HB 238. Senators learned that the $1.9 million to be raised would supply 70 percent of the funding for the Louisiana Commission for the Deaf, which helps pay for interpreter services, hearing aids and other accessibility tools for the deaf, the deaf and blind and the speech impaired with low incomes." Read more here. The Deaf International Film and Theatre Festival in Iceland starts two weeks from today(June 10) and runs for a week in in downtown of Reykjavik, the capital city. Here's a video about it. Deaf Film & Theatre Festival in Iceland from Elsa G. Björnsdóttir on Vimeo. A car hit and killed Velma Kimmel as the deaf woman tried to walk across a street in Deerfield Beach, Florida. 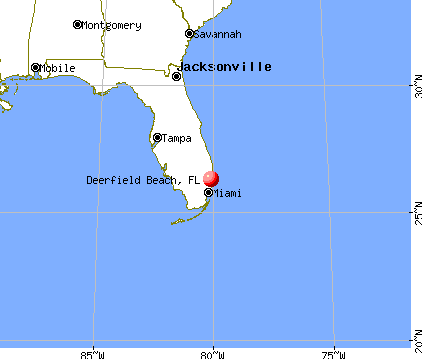 The town is just north of Fort Lauderdale. Police say the 71-year-old woman stepped into the path of an SUV last night. There was no crosswalk near the accident. Malvinas Miller-Jones, 42, who was driving the white 2005 Cadillac SRX that hit Kimmel, has not been charged but an investigation is still underway. She lived in a low-income, senior citizen community. A Oklahoma nurse found a cochlear implant that was scheduled to be given to an adopted girl in the rubble left by the deadly tornado that tore through the Tulsa suburb of Moore. Five-year-old Jayde Scholl was adopted last year by a doctor of audiology who works at the Scholl Center, a speech and hearing clinic located in Tulsa. Jayde was scheduled for her second implant surgery this past Monday, but the tornado interrupted those plans when the device was lost in what was left of the Moore Medical Center (see photo)--until a nurse located it. Thanks to the discovery, Jayde had her surgery yesterday at the Norman Healthplex. Below is a video report on Jayde's first implant surgery. No captions but you can read the story here. A UK woman who works with the deaf has been recognized for her work by the Economist Intelligence Unit's Dynamics Change Ambassadors Awards. Cheryl Cullen was among the top five in the ‘No Boundaries’ category, with Anandha Ponnampalam of Sapient Global Markets winning the contest. Cullen was recognized by business the award started a company called Clarion Interpreting which provides BSL interpreting services and helps the deaf find employment. Clarion has found work for 250 people and permanent employment for 50 of them, which is equal to the industry average in the UK. Read more about the awards here. Watch a 3 minute video of Helen Keller from 1930 on DeafNewsToday.com. New York's WGRZ-TV reports on a how an unwanted deaf dog found a deaf owner in Niagara Falls in this video report. No captions, but you can read the story here. A loop system has been installed in a New York theater. Albany's WNYT-TV has a video report below on DeafNewsToday.com. Faith Wallace graduates from USC today--at the age of 19. Her family discovered she was deaf at the age of two. Her family can't afford anything more than a single analog hearing aid. That didn't stop her from graduating from Covina High School in Convina, California at the age of 15. Now she's coming out of college with a bachelor's degree in psychology and a minor in law. She hopes to attend UC Berkeley's graduate school for her Ph.D in psychology and eventually work with mentally ill prisoners. It was on this day (May 23) in 1862 that William Ellsworth Hoy was born. "Dummy" Hoy played in the major leagues for 7 seasons, mostly for the Cincinnati Reds. Hoy lost his hearing as a child due to meningitis. He graduated from the Ohio State School for the Deaf as class valedictorian. He signed his first professional contract in 1886 and made the Major Leagues in 1888 where he played until 1902, Only five feet four inches, Hoy had a small strike zone. The first deaf player in the majors, Hoy had a .287 career batting average and more than 2,000 hits. An excellent base stealer, he swiped 549 bases. A standout center fielder, Hoy set a record in 1889 by throwing out three runners at home plate in a single game. He became a member of the Cincinnati Reds' Hall of Fame in 2003. Because he couldn't hear the umpire calling the balls and strikes, Hoy is often credited with creating the hand signals that umps still use. However, a deaf pitcher named Ed "Dummy" Dundon used hand signals as early as 1883-84 and later in a game that he umpired in 1886. Also, early accounts of baseball signs do not credit Hoy with originating their use. However, he probably played a role in spreading their use because of his long career as a standout player. Hoy could read lips, but also used sign language, which he taught his teammates. He preferred the name Dummy and even corrected people who called him by his given name, William. He throw out the first pitch at the 1961 World Series between the New York Yankees and the Cincinnati Reds and died a few months later at the age of 99. In 2012 a play based on his life was performed in Oregon at the Pentacle. The Signal Season of Dummy Hoy was written by Allen Meyer and Michael Nowak a quarter of a century ago for Meyer’s deaf daughter. The devastating tornados in Oklahoma left one couple with only what they could carry. KFOR-TV has this a video report. Former dean of the Laurent Clerk National Deaf Education Center at Gallaudet University, Kathy Jankowski. Pima Community College faculty member Taralynn Petrites--who leads the ASL and Interpreter Training program at the school. Foundation for Blind Children former director of children’s service, Elaine Baldridge. Southern Arizona Association for the Visually Impaired executive director Michael Gordon. Arizona Ear Center otologist Mark Syms. Read about profoundly deaf teen's journey through her Arkansas high school here. The Kentucky Deaf-Blind Project is making a difference in the lives of students like Joseph Boggs. Find out how in a video report from WTVQ-TV posted below on DeafNewsToday.com (captions available). Michigan School for the Deaf students explain how they planned their prom dance here. The EEOC is updating its guidance for understanding how ADA law applies to four types of medical conditions: cancer, diabetes, epilepsy, and intellectual disabilities. The Equal Employment Opportunity Commission had a Q and A guide posted about cancer here, diabetes here, epilepsy here, and intellectual disabilities here. These guides are designed to help employers understand how to address these conditions. A record number of students graduated from the NTID this year. The National Technical Institute for the Deaf gave out diplomas this weekend: 121 associate degrees, 27 master’s degrees in secondary education, 54 bachelor degrees in interpreting, and 212 bachelor or higher degrees in other colleges of RIT. Stephen Aldersley, NTID’s vice president for Academic Affairs, told students to "become a success and to receive an award, you must be smart, determined, creative, motivated and hungry. And you need to do these things every day, all throughout the quarter. I’m confident you will carry these characteristics with you throughout the world after you graduate.” The National Technical Institute for the Deaf is part of New York's Rochester Institute of Technology. You'll find a list of awards given to graduating students here. To best understand someone, don't look at their face, look at their hands. That's the finding of Stanford University researchers. Here's why: Michael Slepian and his team showed videos to volunteers from the World Series of Poker. Some videos showed player's faces, other clips showed their hands. Some clips showed chest, arms and head. The volunteers weren't very good at figuring out the quality of the player's hands when watching just the player's face. Their guesses improved when the player's could be seen from the waist up. But the best guesses came when the volunteers could see only the person's hands. Slepian speculates that people break their rhythm in body movements when anxious. While the researchers didn't look into how this might play out with sign language, their findings may suggest that signers could be more likely to spot anxiety and thus deception on the part of other people because of the awareness sign language users have of a speaker's hands and arms. Details of the Stanford study are in the journal Psychological Science. Ohio lawmakers heard testimony on a bill that would stop the sale of hearing aids online in the state unless the user first sees an audiologist. The bill is considered an effort at consumer protection by supporters. Republican Rex Damschroder of Fremont is sponsor of House Bill 109. The Ohio House Health and Aging Committee is hearing from medical professionals and consumers. Read more about the bill here. The 34th annual Mike Glenn basketball camp is set for June 16 to 22 in the Atlanta suburb of Decatur. His life was recently turned into a movie called Spirit of Love: The Mike Glenn Story. Players from around the country will gather for the week long event to sharpen their skills. It is a tribute to Charles Glenn, the first basketball coach at the Georgia School for the Deaf. For more information on the movie go here and for more information on the camp go here. An alleged drunk driver killed a deaf mother of 3 children in Montana early this morning. Roberta Demmert and her sister were walking on the sidewalk when Tom Vineyard hit them with his pickup, according to Missoula police. Vineyard's Ford Ranger truck flipped over from the impact. Police say his blood alcohol level was triple the legal limit. Roberta Demmert died at a local hospital while her sister, Pamela Demmert, is recovering from serious injuries. Demmert was only 39 years old. A judge set Vineyard's bail at $200,00. He faces more than 30 years behind bars if convicted and will appear in court again at the end of the month. You can see the court documents here. Green Bay Packers players stop at Wisconsin School for the Deaf as part of the team's eighth annual Tailgate Tour. Find out what they told students here. Find out why a half-hour weekly TV show may not survive in this article from the Austin Chronicle. Fire investigators have completed their report on a fire that claimed the life of a Gallaudet professor and her daughter in Falls Church, Virginia. County fire officials say the January fire was definitely an accident and it was started by a wall mounted natural gas heater in the living room. Read more about the accident and Laura Gardner here. A deaf couple from a town in East China run a successful business selling hand and footprint molds. Read the story here. Deaf leaders from the Philippines visited the Rochester School for the Deaf Monday. WHEC-TV has a video report below (captions included). A deaf Maryland man's fund-raising effort has made its way to Detroit. We told you about Jacob Landis's adventure back in April here. Landis is biking to every Major League Baseball park in the country. WJBK-TV sat down and spoke with him in the video posted below. No captioning but you can read the story here. Two films will be shown Saturday afternoon (May 18) at the University of Washington in Kane Hall. The Deaf Spotlight & Seattle Disability Justice Collective is providing an interpreted group discussion. The documentary Audism Unvieled will be shown first. The film includes interviews with various deaf people about audism and the treatment of deaf people. The second, and shorter film, is The End. With a running time of less than 30 minutes, the film written and directed by Ted Evans follows four Deaf children over a span of 60 years. A San Antonio deaf boy is looking for his missing service dog. WOAI-TV has a video report posted below on DeafNewsToday.com. No captioning, but you can read the story here. An elderly man is in jail for shooting his deaf wife. WTVR-TV reports on the Spotsylvania, Virginia crime in a video report below. No captions but you can read the story here. DeafNation Expo hits San Juan (May 18). Join the trade show for exhibitions and entertainment at no charge. You'll find it at the Puerto Rico Convention Center. Find out more here. San Diego's KSWB-TV reports on two deaf flag football teams in the same a hearing league. A Texas man was killed in Northern California by the propeller of a crop duster as it was landing last Thursday. Willie Valdez Suarez is deaf and could not hear the small plane approaching the Biggs, California, runway, just north of Sacramento. Suarez was working on the private landing strip as part of a construction crew hired to repair it. The pilot circled the runway before making an approach but Suarez didn't see the plane coming and no one warned him. The FAA is investigating. The opportunity to train BSL interpreters is being taken away "and it's an outrageous loss – in terms of deaf people being denied communication, and in terms of hearing people shutting ourselves off from the world of the deaf.." The Guardian takes a look at why that's happening here. “His patients love him, our staff loves him, and he actually does a wonderful job in back of the ambulance, better than some of my hearing staff." Find out more about Chad Grabousky here. Dr. T. Alan Hurwitz picked up a Honorary Doctor of Humane Letters degree at Fresno State University Friday. The president of Gallaudet University. Because he couldn't attend the school's commencement, a special ceremony was held to bestow the honor on him at the College of Health and Human Services Honors Convocation. Fresno State President John Welty praised Hurwitz as a well-known role model in the deaf and hard-of-hearing community. Oral histories can be made more accessible to those with hearing loss through a series of simple steps, according to an essay written by Michigan State University professor Brad Rakerd. One is to "make a video of an interviewee available for viewing in synchrony with the audio so that a listener can have access to lip reading cues. Another example is to allow the pace of an oral history presentation to be adjustable so that it can match the information processing preference of an individual listener." Read an interview with Rakerd at the Oxford University Press blog here or you can see Rakerd's entire essay can be read in the most recent issue of The Oral History Review here. St. Paul's city council has officially approved a settlement with deaf activist Douglas Bahl. The Minnesota city will pay $93,450 and the St. Paul police has agreed to make "significant changes" in how it communicates with deaf citizens. One change is agreeing to provide a sign language interpreter when one is requested and officers will get special training for communicating with the deaf when no interpreter is present. Read more about what brought about the lawsuit in the first place in our post from last week (May 6) here. Find out what a deaf goalkeeper studying at the University of Bedfordshire in the UK plans to do when she finishes her degree. Read the story here. The Tornoto International Deaf Film Festival starts tonight with its Red Carpet Gala. Two films will be shown this evening: The UK documentary short Crossing the Divide and the Canadian debut of the award-winning feature film Deaf Jam. The festival will show more than 20 films in partnership with the Deaf Culture Centre and the Canadian Cultural Society of the Deaf. Youth filmmakers will have a chance to learn at a boot camp at Ryerson University during the Festival. You can find out more here. An estimated 25,000 deaf Jewish people were murdered in the Holocaust. Less than two dozen deaf survivors are left today. Unlike other persecuted groups in the Holocaust, the deaf did not have a specific identity badge. About 17,500 deaf Germans were sterilized between 1933 and 1945. Gerry Hughes circled the globe in his boat Quest III in eight months. He's the first deaf man to do it. The BBC tells his story here. A deaf man is arrested for what police thought were obscene gestures aimed at them, but the man says he was only trying to tell them he was deaf. Sounds pretty disturbing, right? The UK's Daily Mail has published the article in its online edition here. The problem is that this story from Sunderland, England happened more than a decade ago--a fact not mentioned in the article. In 2002, Shaun Phuprate was charged with being drunk and disorderly, along with his brother who tried to intervene. Local magistrates later threw the case out. The Daily Mail itself ran the article in 2002 which you can see here. In January, DNT reported on a deaf medical school student court victory. An appeals court reinstated Michael Argenyi's lawsuit against Creighton University after it was dismissed by a judge. He sued the Omaha school for discrimination because the private Jesuit university accepted him for medical school but then refused to accommodate his learning needs. We now know his case will go in front of an Omaha jury starting the week of August 20. Argenyi has a cochlear implant but also uses cued speech. He was able to use a transcription service along with a cued speech interpreter at Seattle University as an undergrad. He earned a high GPA at the school in Washington State. While at Creighton, he was provided some assistance, but Argenyi says it was not enough. The school refused his request for interpreters and a transcription system - claiming the services were to expensive. Creighton even refused to let him use an interpreter when he interacted with patients--despite the fact that he was willing to pay for the service out of his own pocket. The school told him that he should not be using interpreters in the "real world." AT&T has agreed to pay more than $18 million for not stopping swindlers from taking millions out of a service meant to benefit the deaf. A year ago, we told you the Justice Department had joined a whistleblower lawsuit filed in Pittsburgh by Constance Lyttle, a former worker at an AT&T call center. Prosecutors claimed the phone company knowingly asked for reimbursement of calls not covered in the service. Many were placed by international callers using the service to buy things using stolen credit cards. As much as 95% of the calls were international and not eligible for the reimbursement program. The FCC reimburses companies like AT&T about $1.30 per minute out of a fund created by fees placed on consumer phone bills. AT&T says it didn't know the calls were being fabricated, but the FCC requires IP Relay providers to verify users' name and mailing address. AT&T isn’t admitting any wrongdoing, but it will pay $7 million back to the Telecommunications Relay Service fund and what amounts to a federal fine of more than $11 million. Ramon Alford will be the third deaf student to graduate from Mississippi State University at Meridian during ceremonies this coming Saturday. Find out what it took for Alford to earn his degree in psychology here. Founded in 1867 as the nation's first permanent oral school for the deaf in the U.S., the Clarke School for the Deaf in Northampton, Massachusetts changed its name in 2010 to the Clark Schools for Hearing and Speech. Opposed the use of sign language, Clarke works with children before school age to prep them for mainstreaming and sends master's degrees teachers into mainstream classes as “itinerant teachers." The private school has branches in Canton, Massachusetts, Jacksonville, Philadelphia, and New York City, New York. At last report, the average cost for attending the school is more than $55,000 and enrollment has dramatically dropped in the last decade. Two women are suing the Washington, DC public housing agency for failing to provide them sign langauge interpreters. Latheda Wilson and Jacqueline Young say they've had a hard time getting the housing they need and it has put them at risk of losing the houses where they live now. An advocacy group called Deaf-REACH is joining them in the lawsuit which says the two women had to resort to writing notes and using family members to interpret because the housing agency has regularly failed to provide interpreters for them. On the other side, the housing authority is defending its program, saying it is in compliance with ADA law. On its website, the DC Housing Authority claims it "is committed to providing programs in a way that does not discriminate against individuals with disabilities." A growing problem in the U.K. is the lack of qualified British Sign Language interpreters. The Guardian takes a look in an article here. Regal theaters has a goal of having 6000 movie screens in operation that work with Sony captioning glasses by the end of the month. The nation's largest theater chain is investing more than $10 million in the project that puts closed-caption text inside the lenses. The display stays right with the dialogue on the screen. For the visually impaired user, there are headphones that play dialogue from the film. Regal Entertainment Group's senior VP Raymond Smith has pushed the effort--partially because his son Ryan is deaf and he tested the equipment as it was developed. Regal says it was not motivated by legal pressure. Nine years ago, New Jersey's attorney general took Regal to court, accusing the chain of violating ADA law. The suit was eventually settled. The glasses are free to customers but cost individual theaters more than $1700--a price tag that includes the transmitter and receiver. The glasses are already in use at many theaters across the country. Deaf students interested in space got a closeup visit to the U.S. Space and Rocket Center in Huntsville, Alabama last week. One student from the Maryland School for the Deaf told a local TV station, "It’s been my first time flying as a pilot in the orbiter, it’s been my first time doing a lot of things.” WHNT-TV has a video report posted below on DeafNewsToday.com (no captions) or you can read the story here. R. Orin Cornett created cued speech in 1966 while serving as vice president of Gallaudet University. Over the years, many in the deaf community have resisted the system because they see it as an affront to the place American Sign Language plays as a central part of Deaf Culture. But advocates counter that the main purpose of cued speech is literacy not speech and that it more clearly conveys English that ASL. With eight visual cues it utilizing hand shapes to make lip reading easier. The system has recently gained support through the federal No Child Left Behind Law with funding aimed at improving reading scores. Here are some Cued Speech facts. Born in Oregon, Bill Austin dropped out of the University of Minnesota to start his own hearing-aid repair company. 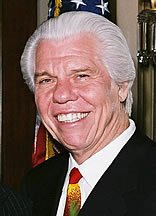 Austin is founder of Starkey Laboratories in suburban Minneapolis, the largest US maker of hearing aids. It made him a multimillionaire. His major contribution to hearing health was the invention of in-the-canal hearing aids in the early 1980s. Starkey sells about one million hearing aids a year through 30 factories worldwide. His clients include five U.S. presidents and celebrities (such as Sting, and Dolly Parton). The Starkey Hearing Foundation has given out tens of thousands of the devices to the poor. He was honored by Variety International (a major children's charity) as Humanitarian of the Year. Former students from Westchester's NY School for the Deaf are coming forward to say "a staffer molested his charges at night for almost 20 years." Read the full story from the New York Post here. "My family members, some from California, New York and the East Coast, will also be joining me at the event. I look forward to celebrating the honor with close friends and colleagues and people that I have so much respect for. To me, what it really means is that I have been recognized for my work, my work at Gallaudet University as well as in the deaf and hard-of-hearing community across the United States. I've been to Fresno three times. I've talked to the faculty and the students there, as well as the deaf community in Fresno. I've developed a very good relationship with my colleagues in Fresno. I've been more focused on making sure young deaf people have opportunities to get a good education and be well-prepared for professional life and become more engaged in leadership activities." The Doug Bahl lawsuit against the St. Paul Police Dept. is coming to an end. Back in 2008, we told you about his lawsuit here. As you can tell from the photo showing Bahl with swollen, black eyes and blood on him, he was beaten when police stopped him in the Minnesota town. They said the well-known deaf activist ran a red light. When Bahl tried to communicate that he was deaf, officers sprayed him with mace and hit him. The policemen blame Bahl for starting the confrontation, saying he hit and bit one of them. But the officer's written account indicates they were frustrated that Bahl did not "speak" with them and they failed to grasp that Bahl was deaf during the altercation. Then Bahl spent nearly four days in the Ramsey County Jail without the knowledge of his family. He says deputies wouldn't get him an interpreter. The sheriff says he offered Bahl a TTY phone on the first day but Bahl wanted to send an email to his family. During the next three days he was not provided an interpreter or allowed access to TTY. His first court appearance was even put off because Ramsey County authorities failed to provide him with an interpreter. Bahl ultimately was convicted of a misdemeanor. In 2011, a federal appeals court ruled one of his claims could have merit and sent case back to a lower court for further consideration. Now the city is considering a settlement that would pay Bahl $90,000 dollars and require the police department to train its staff about the rights and needs of the deaf. The settlement goes before the city council this week for approval. Another suit against Ramsey County was settled in 2011 for $230,000. Deaf performance artist Christine Sun Kim is pushing The boundaries Of Communication With sound art. We introduced you to her work in 2011. Her work will be featured at New York's Museum of Modern Art (MoMA), its first major exhibition of sound art. Find out more about Kim in an interview here or watch the video below. An Illinois newspaper takes a look at what makes Deaf culture unique and thriving in an article here. Last week we told you about Jacob Landis' plan to ride more than 10,000 miles, to every major league ballpark in support of cochlear implants. WJLA-TV files this video report about his effort. No captions, but you can read the story here. More on the deaf couple accused of killing their baby because it was crying. The mother says she didn't hurt the child--it was her husband, who hurt the baby while she was asleep. Watch her explain in this video report from WFAA-TV (with captions). Police told a truck driver with a service dog to get out of a Maryland Taco Bell because he was trespassing. Steve Kleckner of Minnesota was passing through the Baltimore-area store when the manager of the Taco Bell warned him he couldn't have a dog in the store. Kleckner tried to explain ADA law but the manager called police. WMAR-TV has a video report with captioning. Last fall we told you about a judge who dismissed a Missouri woman's lawsuit against eBay for violating ADA law. Melissa Earll spend a couple of months trying to work something out with eBay, but was never allowed to register as a used book and memorabilia seller because she is deaf. The company requires a phone in order to verify their identities. Earll is asking the 9th Circuit to revive her case to revive her discrimination lawsuit against the online auction site. The California judge who dismissed the suit said ADA law applies to the physical space of companies, not online sites. But Earll's lawyer is arguing that while the 1990 statute was created before the Internet emerged, Congress intended it to apply to new technologies such as the Internet.